Have you ever heard this term website feedback? It’s all about the opinions of the visitors to your site. You can obtain the website feedback in many different ways. Maybe a friend who visited your site gave his or her feedback. Sometimes a friend’s feedback may seem invaluable to you because it will not give you any significant improvement. So at first, you need to understand why you need this website feedback. Why it’s crucial for your business. Through the website feedback, you can easily understand whether the visitors to your site are satisfied or not. Whether they got their desired result or not or what made them return to your site again and again. If the sales of your business are going down, you’ll also realise what actually stops your visitors from buying your product and a lot more. The websites are designed to get maximum profit or to increase the credibility. So conversion is crucial for each business. If you identify your flaws, you can simply work on it to improve your services. As a result, you can fetch maximum profit out of it. Now let’s check out what are the prime benefits of website feedback. Let’s take a look. The website works as an essential link between your potential customers and your business. It is the best way to create an impression in people’s mind. 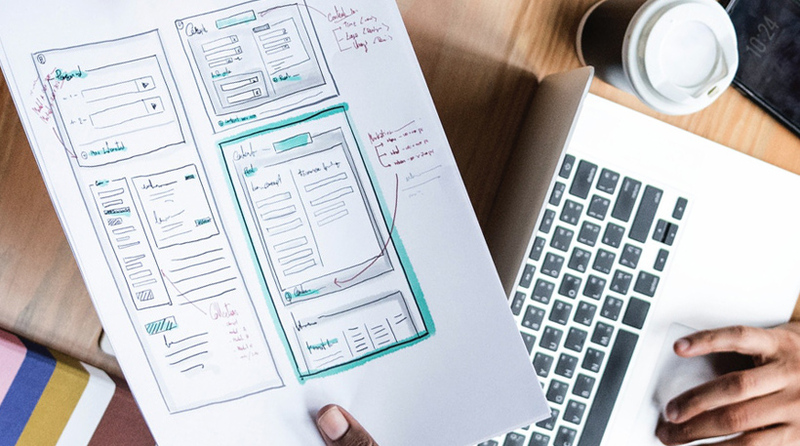 So after creating a professional website design, you need to identify if it really creates an impact as well as productivity or it still requires improvement and the best way to do so is visitor’s feedback. Experts usually suggest creating a simple website that is easy to navigate. It’ll improve the user experience. Still, even after creating a simple website, there are so many buttons and links that can break without your notice. You can identify the problem manually, or you can even take the help of software. Even after spending too much time people sometimes unable to find the problem because that particular button serves as intended but you need to check that button on a specific version of the browser. In that case, only the visitors can let you know about the problem if a particular button is not working as expected. You can quickly fix the problem which will not only improve the user experience but the conversion rate also. How to update your site? Users or the visitors of your site are the best persons to give you the best guidance. Through the website feedback, you can discover how to fit your website on to the user’s expectation. Users not only share their thoughts on the website design but also they love to yield their ideas on the marketing actions, pricing strategy, etc. At the end of the day, all these actions will help you to increase your productivity vehemently. Sometimes you’ll get some out of the box ideas, and with the help of these excellent tips, you can plan your marketing plan. Visitors can find hundreds of reasons for not buying your product. Most of the time they want to research more, and they start looking for different alternatives. However, have you ever thought why they are looking for other options? Maybe you have a long registration form, or perhaps you don’t have their desired payment mode. The reason can be anything. However, the question is how to find the idea behind it? In that case, only visitors could answer why they decided not to buy from your site. You can collect their feedback by running a simple “exit survey” on the signup page. After this survey, you’ll quickly understand why you are losing money and how you can fix it. It’ll definitely amplify your conversion rate. Apart from that, you can run the post-purchase survey too. With the help of this survey, you can directly ask the new customers what make them stop from buying these fantastic products. You never know maybe for a silly reason you have lost a lot of potential buyers, and after solving this problem, your productivity will undoubtedly increase vehemently. How people react to the changes of your site? People think that changing the site will solve all the issues. However, sometimes it has opposite reactions. First of all, turning something on the site is a difficult task. Second, sometimes people face severe problems for making changes in their website. In short, more changes involve higher risk. You can just take the help of Google Analytics. You’ll quickly understand how it’s affecting the exit rate, bounce rate, or average time spent by the visitors. So the smartest way to learn visitors’ behaviour is using website usability testing tools or session recordings. After conducting this survey, you’ll understand why changes affect these things and how you can get a much better result. Now let’s check out the process of collecting website feedbacks. The best way of gathering website feedback is interacting with the visitors or website feedback survey. You must be thinking why! This is because at the time of visiting your site they are engaged and their experience is fresh. So they’ll definitely share their opinion without getting irritated. Today we are going to share three best ways to collect website feedback. Let’s explore! Website surveys are done with the help of unobtrusive widgets. The primary advantage of these surveys is high response rates. You can even show different surveys to different groups of people to gain their confidence. It’ll also help you to ask relevant questions to the users. This one is similar to website surveys. But it’s a less advanced option. 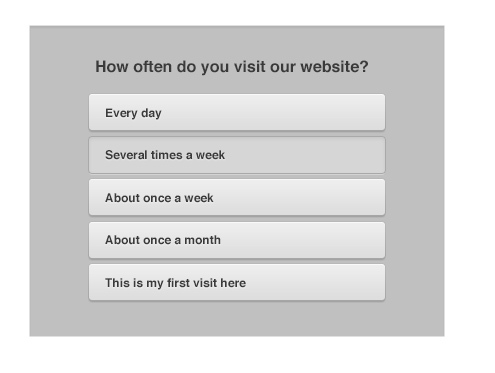 When a user enters to your website, he or she gets an invitation to take this particular survey. If he or she agrees, a long survey list will appear when they are about to leave your site. Live chat is another exciting option for getting website feedback. Live Chat is mainly used to solve customer’s issues. While talking to the customers, you can collect website feedback too. Visitors usually love to share their feedback with a live person. So it’s both actionable and useful. Apart from that, you can utilise several unique techniques to collect website feedback. For example, you can follow these two primary techniques to notice all the feedbacks of the visitors. We are standing in an era of social media where people love to share their opinion, likes, dislikes, etc. People even tweet if they face any problem. You’ll get to know about it via live chat, survey widget, or email. So, you need to be very active on social media. Then only you can react instantly whenever people complaint against your website or if they praise your services. Email surveys are genuinely useful, just like post-purchase surveys. However, the question is how does it work? Let’s check out. If you have an excellent customer base, you can send a short survey to all your customers via email. They actually depend on your products and services. So, they will inevitably react to it. The questions of this survey need to be very simple and effective so that your potential customers can answer it with just one click. At first, they have to click on a particular link. After clicking it will open in a new tab. You can put the next question or a Thank you message there. So, here is a short brief of this full article. Website feedbacks are genuinely useful. It not only helps you to improve your website but also generates more sales and productivity. It has many different forms. You can utilise them all. Two primary processes can be noticed of getting website feedback. You can collect website feedback while the visitors start browsing your site. The most effective way to do so is the Live Chat, intercept surveys and website surveys. You can conduct website survey even when people leave your site. Different techniques are available like email surveys or social listening. 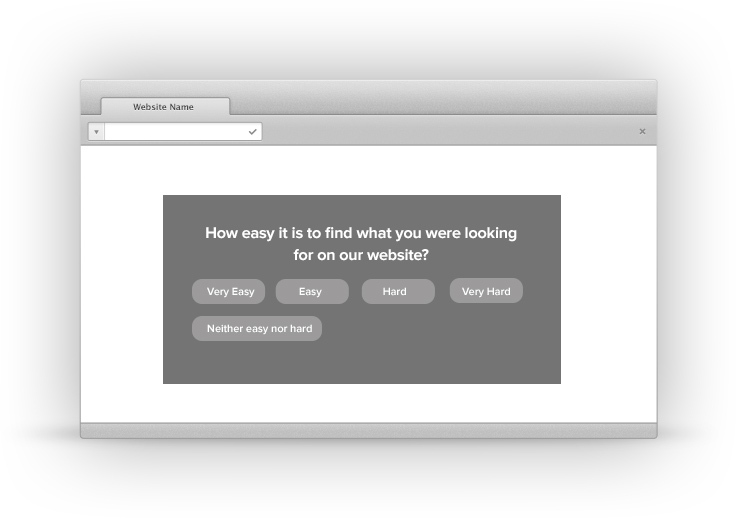 You can also try usability tests from testers to collect website feedback. Just keep in mind one thing that testers are not real users. So their ideas can vary from one to another. So, now you can understand why website feedback is so valuable. You can choose any technique out of these to get the best result. We would suggest you test everything to see what gives you the best. You can utilise those tools that come with multiple functions. It will help you to minimise the number of needed tools. For example, there are so many tools available through which you can conduct both email survey and website survey. It’ll help you to reduce the number of devices and also you can manage them within just one dashboard. Hope you received all information regarding website feedback from this article. Many thanks for joining us.